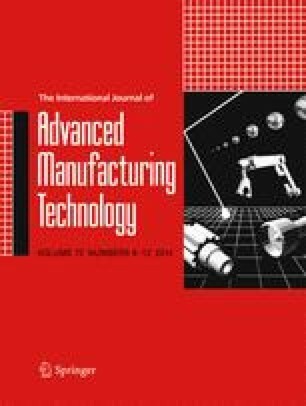 In order to enhance the grinding precision of alumina ceramic, this paper presents the results of an experimental study of a two-step laser-assisted wet grinding process including laser-induced thermal cracking and wet grinding. In particular, the differences in grinding force, grinding force ratio, and surface finish obtained under laser-assisted wet grinding (LAWG) and conventional grinding (CG) conditions are compared and discussed. It is found that the normal and tangential grinding forces for LAWG condition are lower than for CG condition. The higher material removal rates on LAWG condition can be achieved. The average grinding force ratios for CG condition are lower than for LAWG condition. The surface roughness values are considerable in both conditions, and the improvement for surface roughness is not obvious. This is attributed to the final grinding pass through the unaffected parent material.